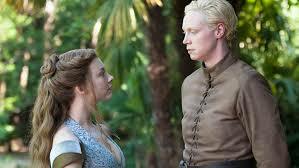 Game of Thrones is an American fantasy drama television series created for HBO by David Benioff and D. B. Weiss. It is an adaptation of A Song of Ice and Fire, George R. R. Martin's series of fantasy novels, the first of which is titled A Game of Thrones. 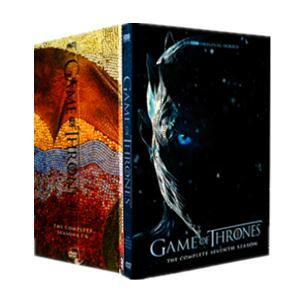 The Game of Thrones Seasons 1-7 sets on the fictional continents of Westeros and Essos at the end of a decade-long summer, interweaves several plot lines. The first follows the members of several noble houses in a civil war for the Iron Throne of the Seven Kingdoms; the second covers the rising threat of the impending winter and the mythical creatures of the North; the third chronicles the attempts of the exiled last scion of the realm's deposed dynasty to reclaim the throne. Awesome! 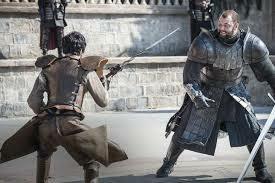 I love Game Of Thrones, it's an awesome TV show can't wait for season 1-5. Highly Recommended this site to everyone.